You can publish a book. Jennifer Sauer took an inspired idea and saw it through to her first photo-illustrated manuscript, The Way to Tea. It's an adventure guide to San Francisco tea culture, and it is beautiful. 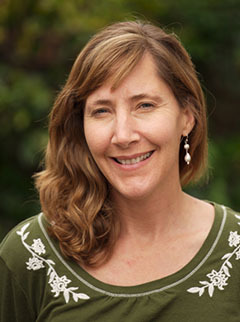 In this interview, Jennifer explains how she conceived of the concept, pulled it together into pictures and words, and eventually signed a deal with Earth Aware Editions to publish and distribute the project. She provides excellent real world tips for succeeding in the current publishing environment, plus has many insights about the state of photography and her transition from film to digital. 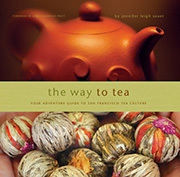 The Way to Tea is a hard cover, 128 page book with 125 full color pictures. It shows you the most intriguing tea lounges and tearooms in the San Francisco Bay Area, introduces you to the world's top tea experts, explains how to judge quality teas, and explores tea cultures from around the world. The Way to Tea is available for $21.95 US. Jennifer Sauer portrait by Derrick Story. Close Up is this month's photo assignment. Time to find that close up button on your compact or break out the macro lens for your DSLR. October is get close month, real close. You can read more about how to submit on our Submissions page. Deadline for entry is Oct. 31. That was an interesting interview. Jennifer was very articulate and came over very well in the interview. I'm a Brit living overseas in Luxembourg enjoy a nice cup of tea as much as the next man. I attend a guitar gathering near Atlanta every year and this year will be taking a lot of tea with me for a tea-loving friend of mine who lives in Florida. He tells me that it's really hard to get "proper tea" in his neck of the woods. Alex Lindsay of MacBreak Weekly, This Week in Media, etc. also mentioned the difficulty of getting decent tea in the USA. Perhaps he ought to buy a copy of Jennifer's book as I just have!